The UH Mānoa College of Education Alumni Association is pleased to announce the selection of Ernest Libarios, Sr. (Mānoa, MED ’72), as its 2017 Distinguished Alumnus. Libarios devoted 47 years of his educational career to improve and enhance the lives of students. He began his career as a counselor in 1965 with Hawaii Job Corps and in 1968 with Farrington High School. 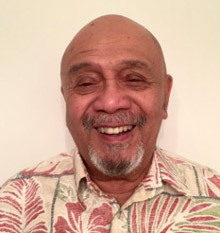 In 1969, he became the first Filipino counselor at Leeward Community College’s Student Services Department where he created and developed Project RISE (Resourceful Individuals Seeking Education), a program aimed to assist at-risk and disadvantaged students to aspire and seek higher education through motivation and cultivation of positive support. The program received national recognition and awards and was the impetus for other programs to aid at-risk youths. Libarios’ impact on community college students continues with the implementation of a recruitment and retention project known as “Discover Leeward Community College Day.” Libarios has received numerous awards, commendations and recognition for his illustrious career as an educator, i.e., the Honolulu City Council in April 2016 for his many notable contributions and the 2017 Hawai‘i State Legislature for his commitment and dedication to students. He was one of three faculty instructors honored in the University of Hawai‘i Alumni and Friends fall 2016 magazine for his strong commitment to nurturing and educating Hawai‘i’s youth and on August 17, 2008, Libarios was featured in the Honolulu Star-Advertiser for his successful career as a counselor and professor. Libarios is also a recipient of excellence in teaching awards from the University of Hawai‘i and The University of Texas at Austin. Libarios attained his master’s degree in educational psychology and a 5th year certificate from UH Mānoa.